This is a guest post by local gluten-free fan Jeff SanGeorge, who will soon be interviewed here, so stay tuned. Zen Cat Gluten-Free bakery is growing into a new facility in the historic Glenwood neighborhood of Greensboro, North Carolina. 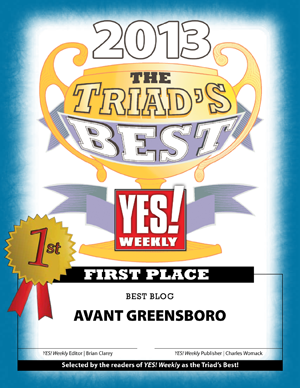 Zen Cat is a three-year-old gluten free and vegan bakery that offers baked goods sold to cafes, coffee shops and markets in Greensboro and Durham, NC. The Glenwood neighborhood has been a “transitional” neighborhood for many years. In the 80’s the neighborhood began to decline. The recent expansion and investment of UNC Greensboro into the Lee Street side of the neighborhood has helped to stimulate renewal and growth into this diverse and historical area. The new kitchen will allow for growth and efficiency, as well as allowing Zen Cat to produce food in a dedicated gluten free facility. 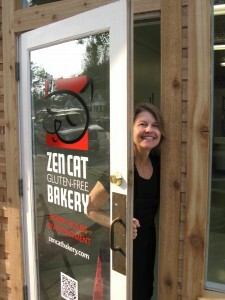 The new Zen Cat bakery is located at 1313 Grove Street, in the Heart of the Glenwood Neighborhood. Bakery orders will be appointment, special orders and wholesale only. Log in | 43 queries. 0.514 seconds.